Direct Fair Trade from small-scale farmers in Columbia. USDA and COR Certified by Kiwa BCS OEKO-Garantie GmbH. This soft, caramel-toned, unrefined sugar is made from cold-pressed, evaporated cane juice. It has a sweet, rich caramel flavour with the superbly fresh vegetable undertones. It is great for all of your baking needs, to sweeten any beverages and smoothies, and especially delicious, when it is used as a crumble topping on pies and muffins, or roasted on the top of Crème Brûlèe. 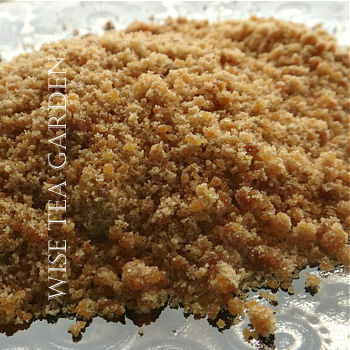 Stirred into a baking 'recipe', this cane sugar will add a rich exotic aroma and flavour to your baking creation. Ingredients: Organic Unrefined Cane Sugar.